The other day Sweet Pea asked if he could play with the Legos in the dining room. He wanted to make a train on the table. At first I wasn’t so sure ~ we always play with the with the Legos on the floor laid out on a blanket. This was a new space for Legos and I wasn’t really keen on the mess to follow. However, he had a very good idea, so why not? To Sweet Pea this was the greatest room! 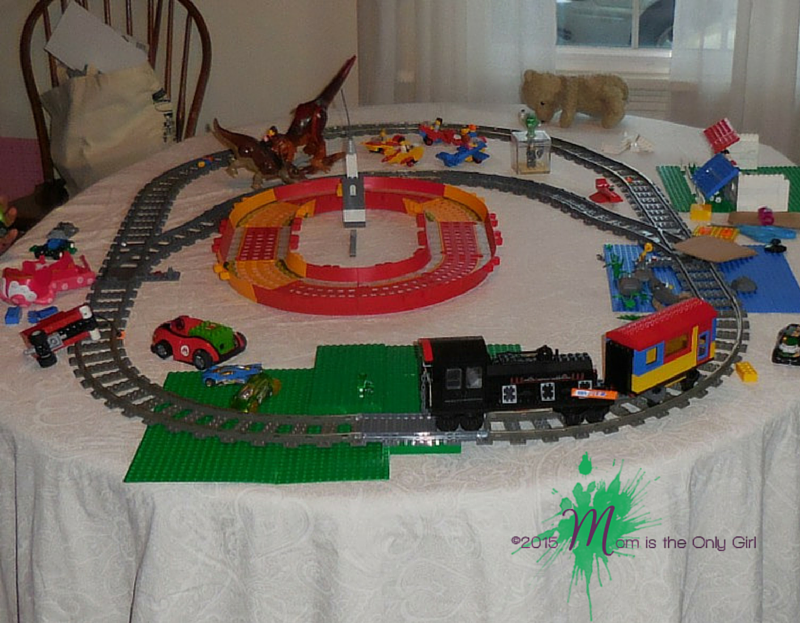 It wasn’t just the dining room-turned-train room ~ it was the Lego train room! And I could clearly see how he was playing with his Legos and his trains in a much different way than when we set up his Legos and trains on the floor. Sweet Pea created just a basic oval track set up for his Lego train (that he made) and eventually all sorts of things were around this track! A carousel made of little people sitting in their airplanes. Dinosaurs with little girls riding them. Any and all sorts of things that my kids can imagine were around the Lego track. I really had never seen this kind of play extension with the Legos when it’s just us on the floor creating or even playing with his trains! Let me tell you it was a pain to get them to take it down so we could use the table again, but it was a good problem! Both boys wanted to keep it up because they were having so much fun creating and playing in ways they hadn’t before. It was spurring their imaginations! Sometimes playing a game by different rules or playing with toys in a new space will lead to a whole new world of creativity! 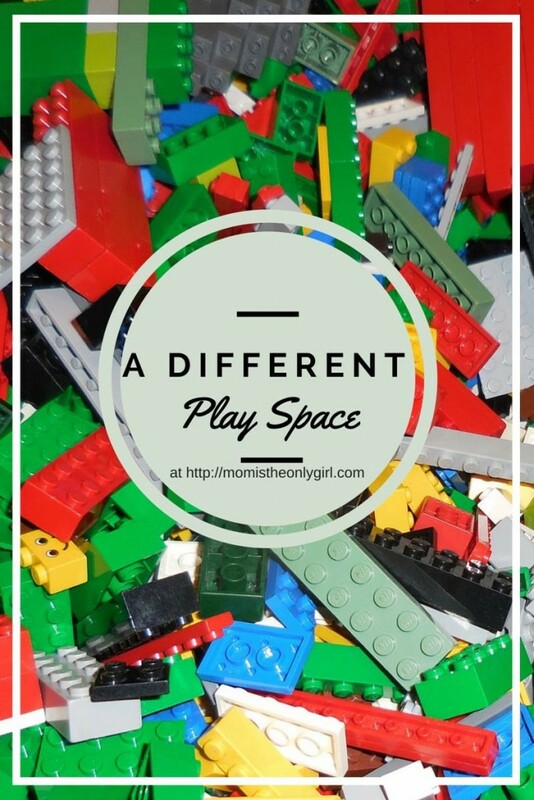 My challenge to you today is to let your kids play with their toys in a space they haven’t played with them before. See where their imaginations take them with it!